But it’s not the only threat looking. The problems besetting Navarre house have finally been revealed as two of their vampires become attempted assassins in a very public attack. While Navarre has never been a friend to Cadogan, Ethan and Merit can’t stand aside while the vampire house is acting so strangely and has to investigate, even with Balthasar stalking them. This is one of those hard reviews to write. It’s hard because I find myself with a feeling of, well, vaguely positive indifference towards the book. I didn’t dislike it, there were few things about it that I had issue with (though there are some which I’ll get to). The writing was well paced, the action seems nicely described. The two main plots were nicely interwoven, related and each got sufficient time and attention to be properly developed and come to a natural conclusion. I also appreciated that Merit managed to be intelligent and insightful in this book without the need for everyone else to suddenly lose half of their brain cells. It has been an unfortunate habit of the series to make Merit seem extremely intelligent by making everyone else… somewhat limited in their comprehension. the book (or, in her case, hangry – her hungry anger has no caused emergency lunches to be ready at all times) though there’s a dubious element of this unhealthy eating without any side issues. We had some touching on the Sorcerers with Catcher and Mallory’s upcoming wedding – and a lot of interest debate around it. I loved how they chewed over the idea that even with someone you love, getting married for “practical purposes” rather takes the wind out of things. But equally there’s the counter debate that people grow up, what they once dreamed of isn’t what they want and love and practicality can mean that a big romantic moment is less important – it’s a nice back and forth with the added good input from Ethan that her friends are adults who don’t need Merit to police their relationship. The first issue I have is that one of the big bads in this book tries to sexually assault Merit. The book does do a good job of showing this as a hard experience for Merit and not something she can just get over, equally it shows Ethan being highly respectful of that and giving her the space she needs. But it remains that we have a sexual assault that added nothing to the book except traumatising Merit for the sake of… of… I actually have no idea. It didn’t make the conflict more real or the big bad badder or, well, anything. It was just there. If anything I felt it was there to try and make the fight against Balthasar more Merit’s personal fight than Ethan’s which seems pretty sad and unnecessary. My second issue is ongoing for the whole series; I do find myself continually bemused by the lack of power of the vampires. 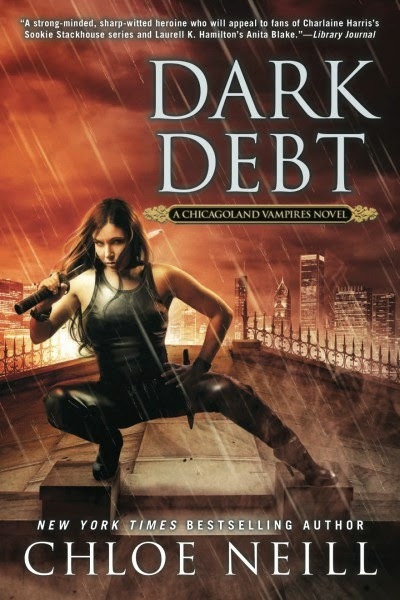 I don’t even mean lack of supernatural power, in fact it’s an interesting twist that the vampires in the Chicagoland Vampires series are stronger and faster than humans but not to a massive degree. The idea that a vampire can fight a human and has a strong edge – but that an edge is all they have – is an interesting one. But even that isn’t followed through, with vampires repeatedly behaving that they’re tougher and stronger than they are in one scene and then being oddly vulnerable in another (2 vampires with swords attacking a party with gun-wielding bodyguards, for example, should have been unthinkable). Which leads to me ongoing gripe about this series; Morgan of Navarre house is supposed to be almost 100 years old. Ethan is supposed to be 400 years old. Morgan acts like an angsty teenager of about 15, even with the greater development of him in this book, he’s still an angsty teenager of 15. Ethan is short tempered, impetuous and has big emotional displays which are meant to make him look powerful but don’t seem to achieve anything and ends up looking like a tantrum before his elders. Like in this book Ethan decides to go have a big confrontation with the big bad which… doesn’t achieve anything except Ethan stomping around and then being escorted off the premises like a naughty school boy. He’s 400 years old. Why isn’t he better than this? In the end, I liked this book. I had no trouble reading it. But if you asked me to point out anything this book did excellently I find myself flailing and generally just reaching for all the things it didn’t do wrong. It was a good book, it was a fun, easy read, it didn’t break any of Merit’s ongoing story and it’s clearly setting up the next big bad… but there was just nothing truly stellar or amazing about it to keep me hooked. While nothing made me want to put the book down, there was also nothing compelling me to pick it up once I had put it down. It was good, it was not bad – but that feels like a kind of damning way to praise a book.